Gold, always believe in your soul is clearly a mantra that designer Angelo Galasso lives by when it comes to his work. His new GOLD Collection is a prime example of this. The creative genius, AKA ‘The Godfather of Italian Style’, has put his heart and soul into designing a glistening range that is decadent down to the smallest detail. The showstopper of the collection is the epitome of 24 karat magic. 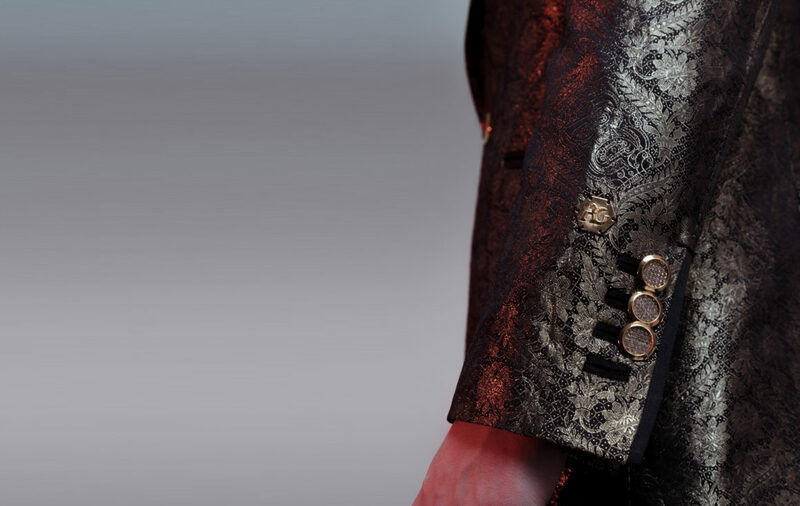 The 24kt gold thread blazer is a collectable piece that is exhibition worthy. As the name suggests this luxurious piece is comprised of real 24kt gold threads woven in a custom AG pattern. Finished with gold plated jewel buttons, this made to order piece can be customised to suit the investor’s needs. How on earth do you compliment that blazer to ensure your look is luxurious top to toe? With diamonds of course! These magnificent suede slips are impressive to say the least. Diamond encrusted AG logos front and back embedded on 24ct white gold plaques add an almost regal look to the shoe. My favourite detail has to be the diamond strip across the toe which separates the suede. Despite being titled The GOLD Collection, diamonds and silver also feature prominently in the designs. Angelo Galasso is known for his shirts. 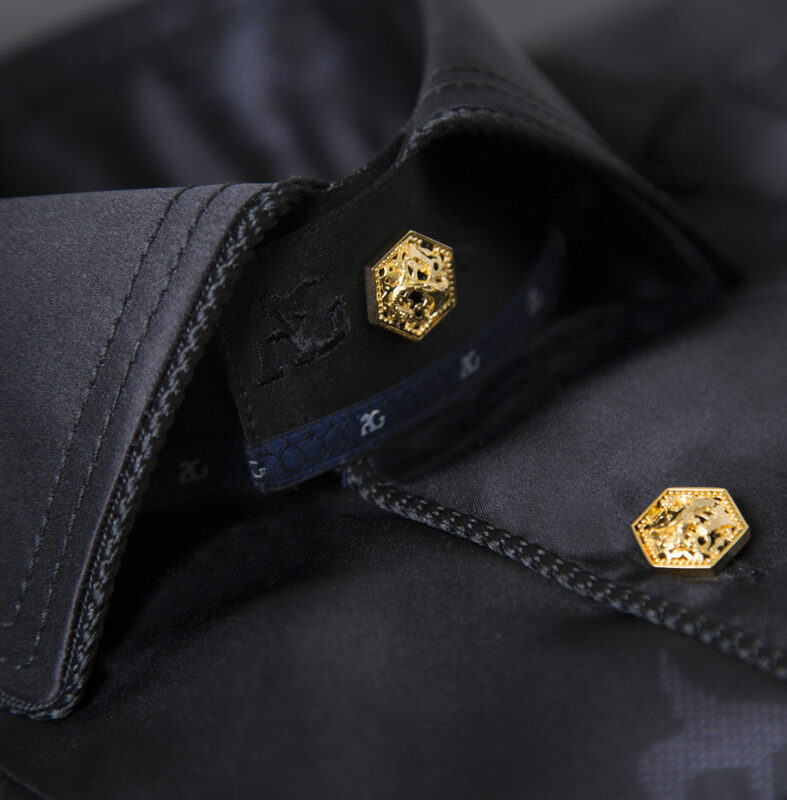 This uber-luxe capsule includes silk AG logo shirts with solid 24 karat gold or silver filigrana buttons. The custom printed pieces are a prime example of the designer’s work where fine detailing and embellishment takes centre stage. 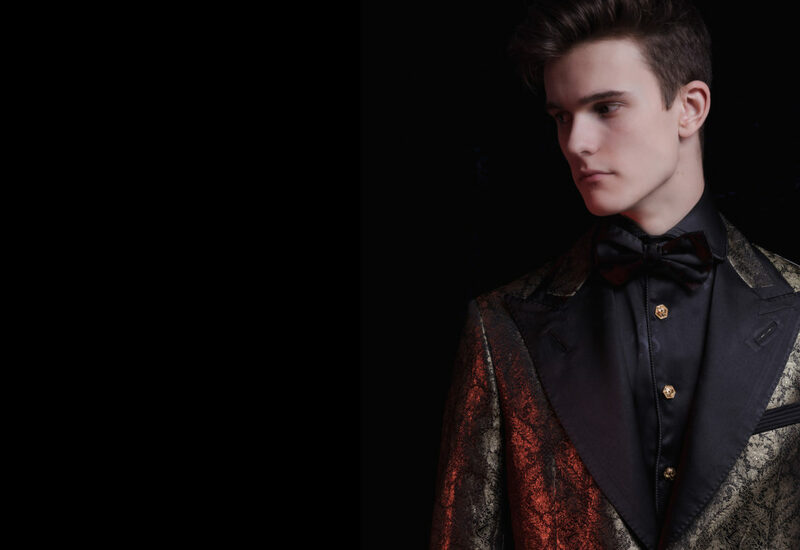 Angelo Galasso have made sourcing the finest and most exquisite materials a must for all items and components that go into the final creation, each one showcasing distinctive characteristics of an entirely handmade offering. The GOLD Collection is available in-store now at ANGELO GALASSO, 8-10 Hans Rd, London. For more of our men’s fashion features click here.